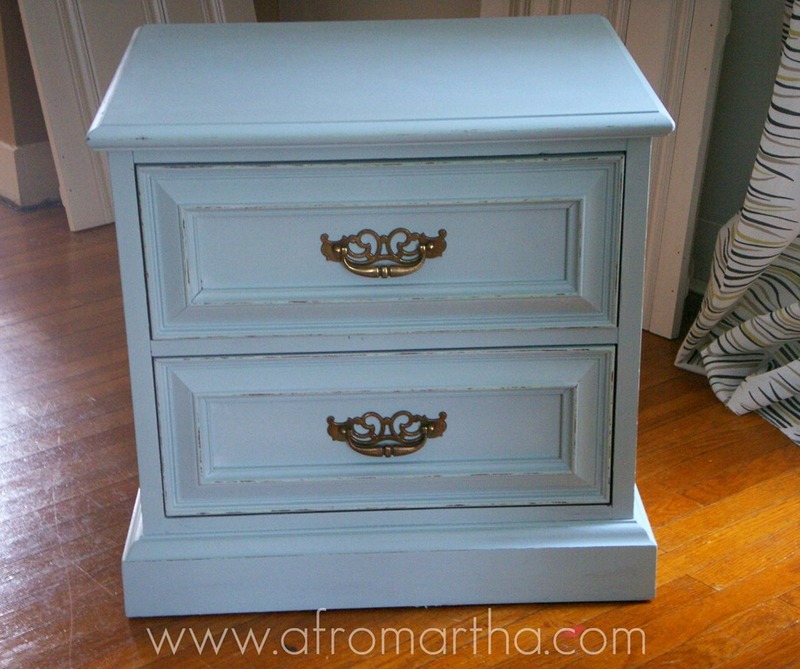 Ever since discovering how to make my own chalk paint, painting furniture has become so much easier and so much fun that I actually want to paint, instead of wishing for a magic wand. Here I have another piece that I painted in one evening. 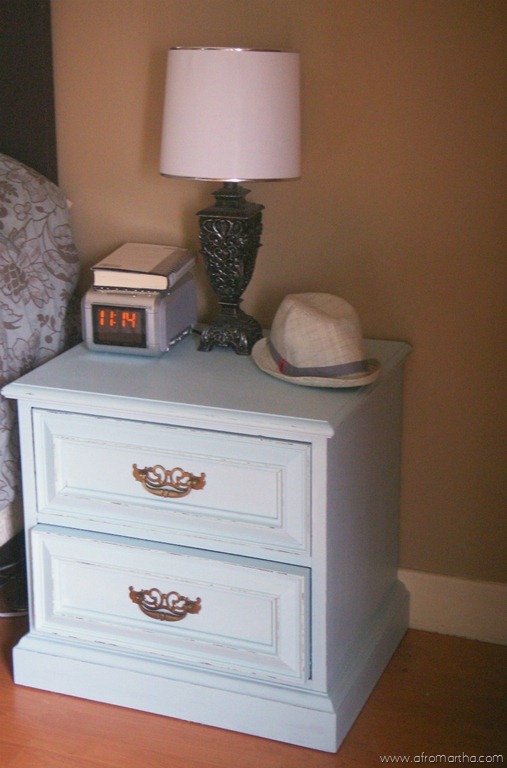 The Hubs needed a side table on his side of the bed instead of the ugly cumbersome tall dresser that inhabited the space, not that he cared. The man could live in a pile of rubble and still wake up whistling a happy tune. I on the other hand, need some visual balance. This side table is one that I picked up from the side of the street for the best price of free! The table had nice metal drawer slides seem to just sing as they slide out. 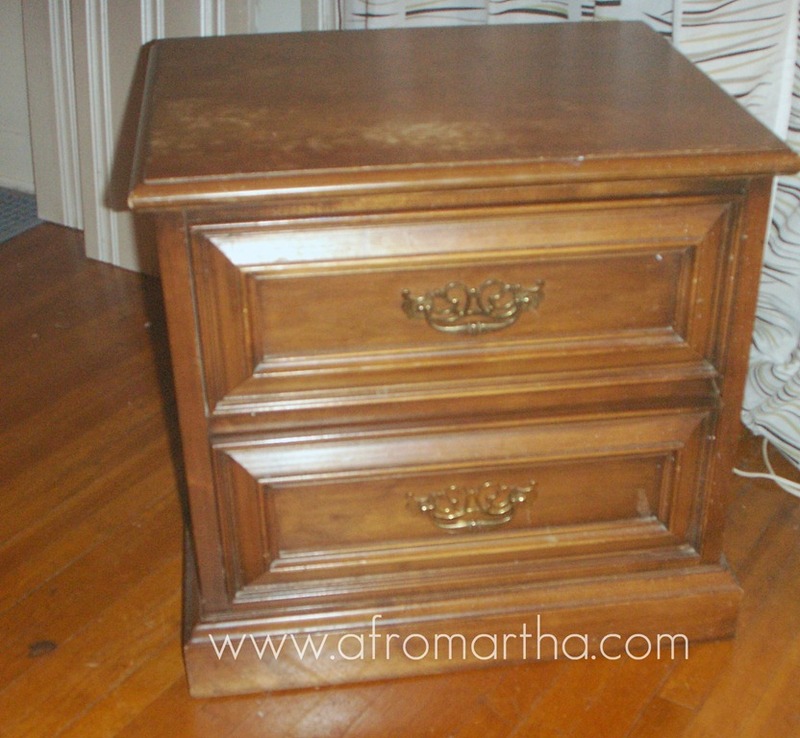 I could tell it was well constructed and sturdy, so I knew it was worthy of being refinished. I already had the paint, brushes and plaster of paris, so all I had to do was mix and paint. 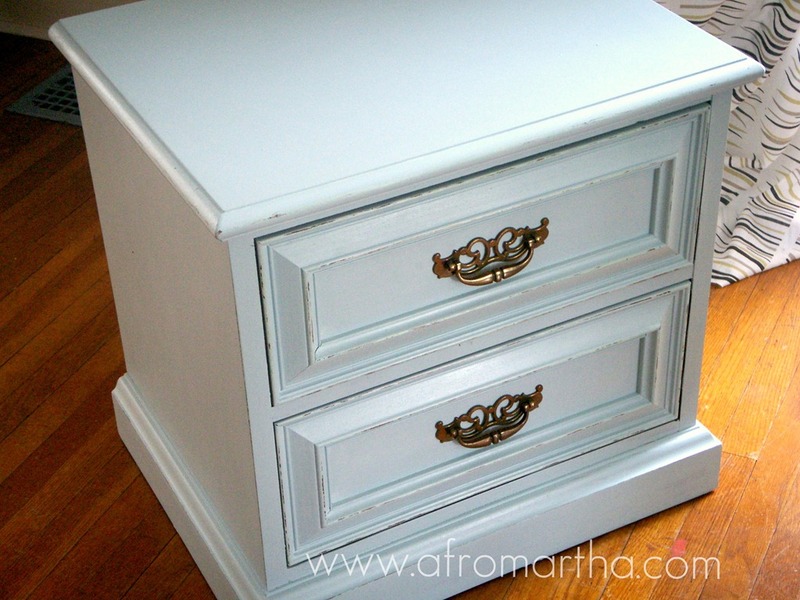 I caved in to the distressing trend since distressing is so easy and fun with chalk paint. Before – a little beat up and kinda grody right? This time I sprung for the Annie Sloan clear soft wax finish. I purchased the wax because I couldn’t find a good alternative locally. I spent a good week searching for Briwax or Trewax locally before it hit me that DUH, Annie Sloan is sold locally. In my search for thriftiness and just plain DIY stubbornness, I sometimes end up wasting other valuable resources: time and effort. Sometimes you just spend the money. I do consider the wax a good buy, since a little goes a long way. I barely scratched the surface when I used it on this end table. I applied the wax with an old t-shirt. The instructions say to use a brush, but a t-shirt worked better for me. I put on a light coat and just rubbed/buffed it in. The wax gives the table a nice soft velvety feel to it.